Rookie running back Kerryon Johnson showed off some of his skills that have made him a Lions’ camp favorite. Johnson showed long speed and an ability to be used in the passing game as he forced a missed tackle on a screen. It wasn’t a stellar performance by the Lions defense on head coach Matt Patricia’s debut. They had a tough time stopping the run and keeping contain on the edges as the game progressed and the Raiders finished with 147 yards on 31 carries. If there was a silver lining, it’s that the first string unit played well in the two series they were on the field for, with the exception of a breakdown in coverage resulting in a 41 yard gain. Rookie defensive end Da’Shawn Hand impressed in his debut, noticeably holding up double teams at the point of attack in the running game, freeing up linebackers to make a play. He ended with three total tackles but most of his work won’t show up on the stat sheet. 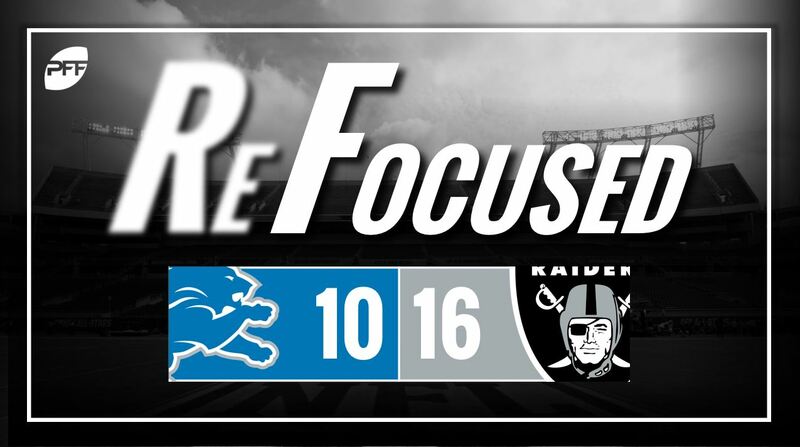 New Raiders head coach Jon Gruden began the 2018 campaign with a well-fought win over the Lions. With Derek Carr and most of the first string offensive unit playing only one drive, much of the load fell on third-year quarterback Connor Cook. Cook displayed his accuracy and impressed throughout the night while making some nice throws on the run. He completed 11-of-19 passes for 141 yards and a touchdown. Rookie left tackle Kolton Miller struggled somewhat in his debut. He was beaten a couple times in the run game, including being responsible for the hold which brought back Marshawn Lynch’s 60-yard touchdown run. If Miller can shake the rookie kinks out at some point this season the Raiders offensive line has the potential to be a powerful force. The Raiders’ rookie defensive linemen didn’t disappoint in their first taste of NFL action. P.J. Hall and Maurice Hurst have been the talk of Raiders camp and both showed why on Friday night. Hall produced a sack and a batted pass while Hurst showed off his explosion off the snap multiple times and recorded a QB hit. Detroit: With third-string quarterback Jake Rudock struggling to make an impact downfield, completing just one pass traveling 10 or more yards downfield, the Lions offense just wasn’t able to generate enough point to get back into the game in the second half. Oakland: With Cook playing most of the game, he was the key player in the win. He wasn’t perfect, but he found enough plays in the intermediate and deep passing game to push the Raiders to victory.